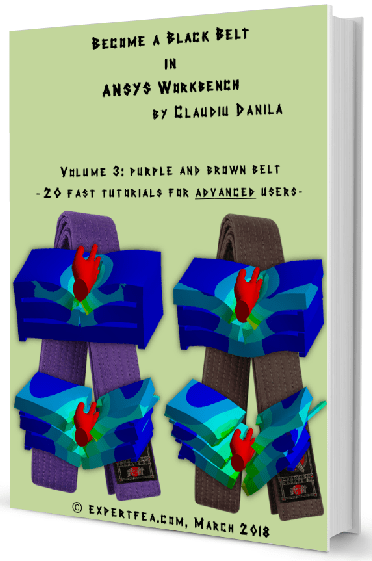 This volume is a must have for all people who want to perfect their FEA skills very quickly in ANSYS Workbench! The book contains tutorials 41 to 60 from Short Tutorials 3 page at 50% discounted price! In this unique PDF with 184 pages, 412 images and 20 of 3D models, you receive quick instructions via short tutorials which will help you fastly improve your ANSYS Workbench and FEA knowledge.